to get more Americans committed to the cause?" When I was a kid, every year on Halloween I carried a little cardboard orange box with me when I went trick-or-treating. So did most of the other kids I went around the neighborhood with or saw walking along the streets. 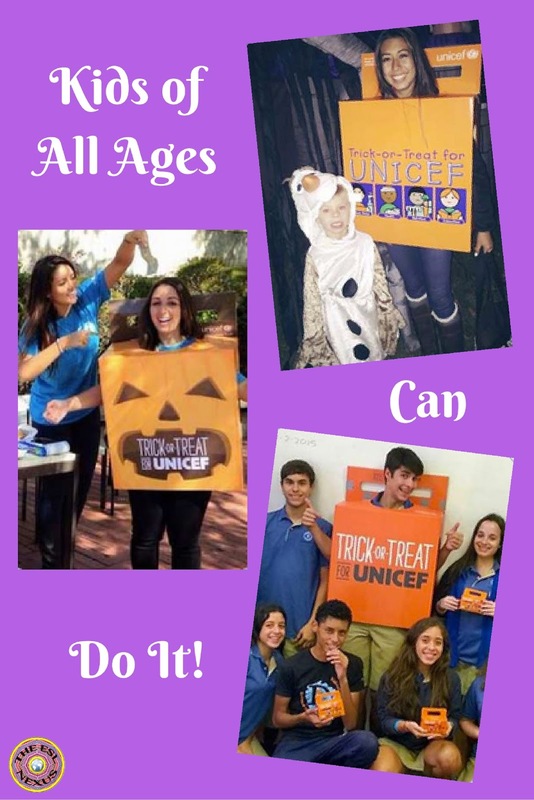 Collecting money for UNICEF was as much a part of Halloween as wearing a costume and getting candy. After I got home and dumped all my loot on the floor in the family room, I opened that little orange box and counted how much money I’d gotten in donations. Whatever the amount was, it always made me happy that I would be able to help some less fortunate kids elsewhere in the world. Looking back, I’m sure that carrying that small container in my left hand, the hand that didn’t hold the bag I hoped to fill with candy, played an important role in inspiring me to work overseas in development, first as a Peace Corps Volunteer helping people in West Africa grow more food and then in Asia teaching English so university students and professors could speak English with foreigners and read the journals that would help them help their communities improve their standards of living. 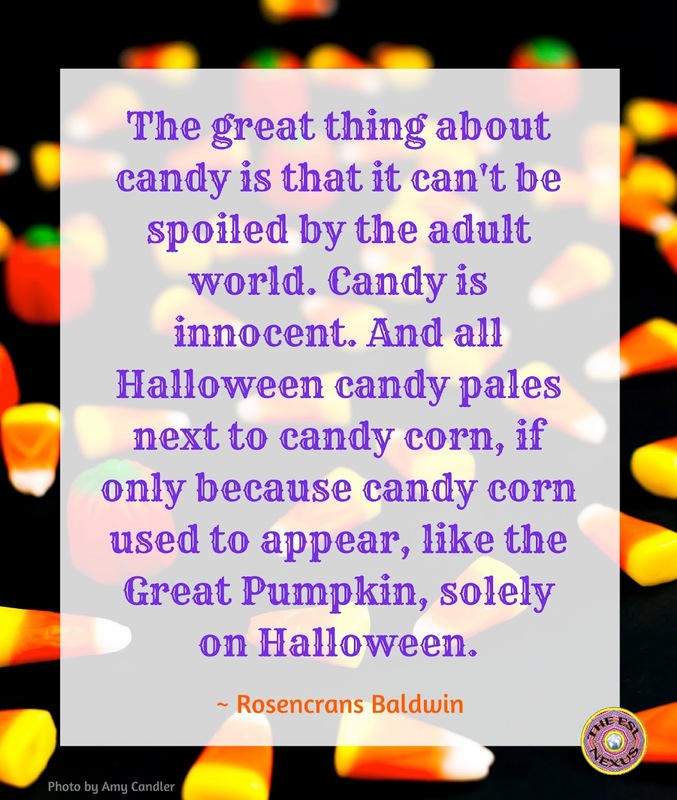 Halloween has changed a lot over the years. 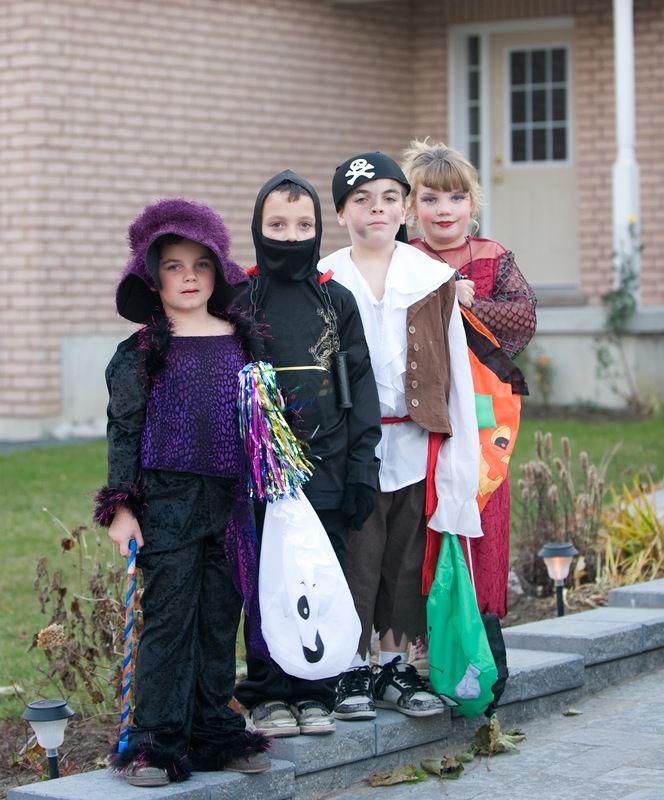 Lots of cities and towns in the U.S. now proscribe which day and what time kids can go out trick or treating. Giving unwrapped food such as fruit is no longer an option. Many costumes are bought, not hand-made. 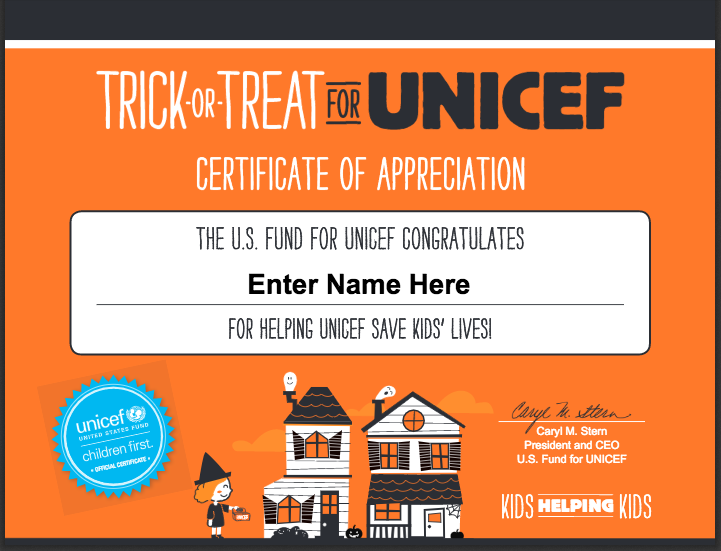 But one thing is still the same: You can still go trick or treating for UNICEF. I don’t know where my parents got those orange boxes I used every year but nowadays, you can order them online. UNICEF has a website where you can not only order the boxes but also find other resource materials, such as stories about how the donations have helped children in various parts of the world. There are also lesson plans, maps, posters, and certificates for kids who have collected money. The website has sections for teachers, families, and community organizations. It’s not too late to order those little orange boxes for Halloween in 2016! The deadline is Monday, October 24th, to ensure you receive them in time but the sooner they’re ordered the better. The website also has info on how you can make your own wrappers for boxes to collect donations. I encourage everyone to try and get their students to participate in this worthy cause!